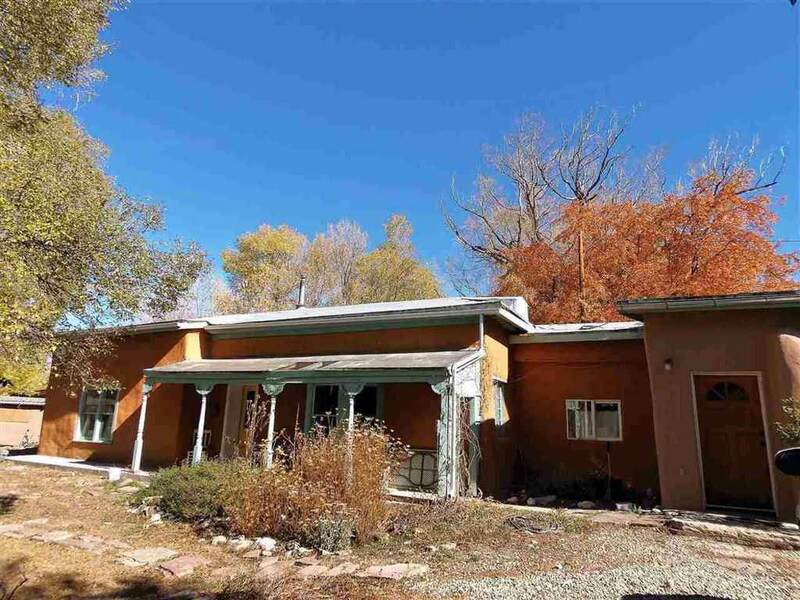 The subject residential property is an historic adobe structure which may have been constructed around the mid to late 1800's. 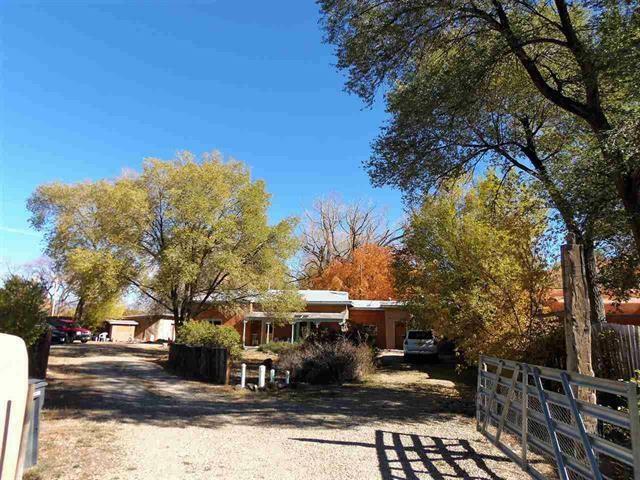 This particular area of Ranchos de Taos, located very near and may have been a part of the original Ranchos Plaza which includes the historic St Francis De Assisi Catholic Church and the surrounding historic properties. The Placita Vieja area, or small old plaza, consists of about 5 homes surrounding a small common plaza area, which is now used primarily for access, and parking for the five or so structures that surround this common plaza area. This is like living on a cul de sac in a very quiet neighborhood of homes, most of which are historic adobes. The subject property has a common wall with another historic property to the East. Privacy is maintained by ancient massively thick adobe walls. The subject property address is Trent St 11A and 11B, since the home has been divided into a main house of approximately 1221 square feet with 2 bedrooms and 1 bath, dining/ kitchen and living room, laundry room, and features a Vermont Castings visible flame Radiance Natural Gas heater and under the oak wood floor in the kitchen, dining area there is 'warm floor' or hot water tubes in the floor for added comfort. This main living area has benefitted from some remodeling within the last ten years and served as the home for the owner. The attached Guest House portion of the structure consists of 2 bedrooms/1 bath , a kitchen and living room, and is approximately 1556 square feet in size and has an additional room. This unit is also heated by a natural gas visible flame stove. This property is currently managed as a duplex. It would be quite easy to re-open a doorway between the two sides of the duplex, creating a single larger home with two separate kitchens, 4 bedrooms, and 2 baths. This could work as a larger home, or as was suggested to me, that a married couple might desire to have a separate private kitchen, bathroom, living, working, creating space for each person with a common doorway between the living spaces to provide ease of visitation, sharing projects, meals and personal time. What a concept! 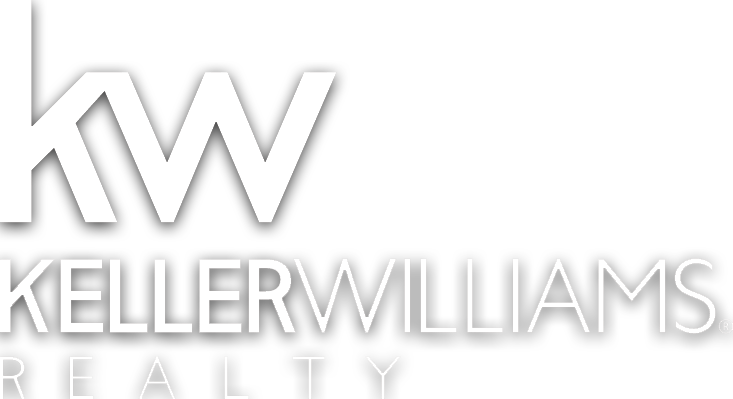 -A property owner could continue to manage the property as a duplex while living in one side and renting the other, or simply renting both sides as an investment and income property. The residence is located on a generous 1.04 acre verdant piece of quiet private and irrigated land which includes a large back yard with an irrigation ditch which permits 1.55 acre feet of surface water(approximately 500,000 gallons when available) to irrigate the lawn, the fruit trees, the shade trees, and the outdoor verdant living space. There is ample room and water for growing a home garden. There is also an irrigation well, in addition to the hook ups to the El valle de Los Ranchos Water and Sanitation District. These hook ups provide drinking water at $30/month x 2 units; and also sewer hook ups at $27/month x 2 units. There is also a detached adobe shed/work area which is approximately 17' x 17' in size and includes a root cellar which is accessed through a trap door in the floor inside the shed. 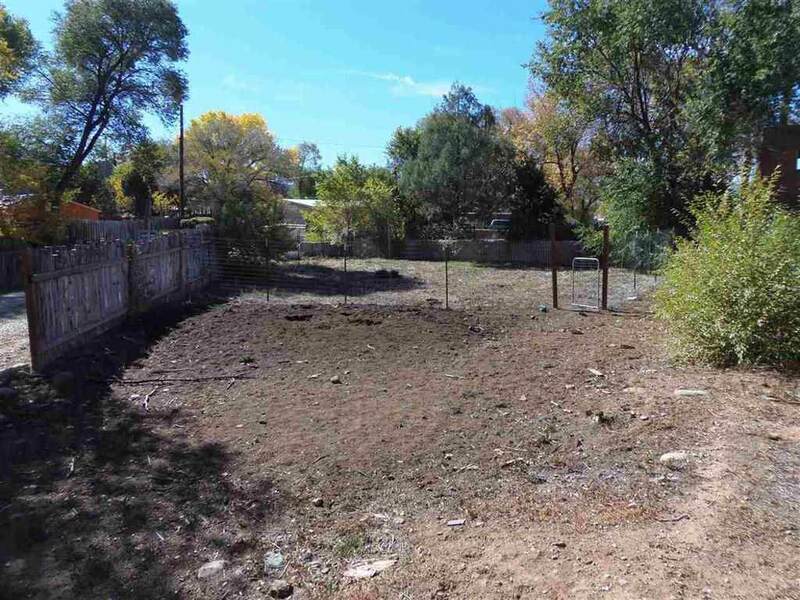 There is an old adobe ruin on the property which could provide some potential for refurbishing and creating additional covered space. 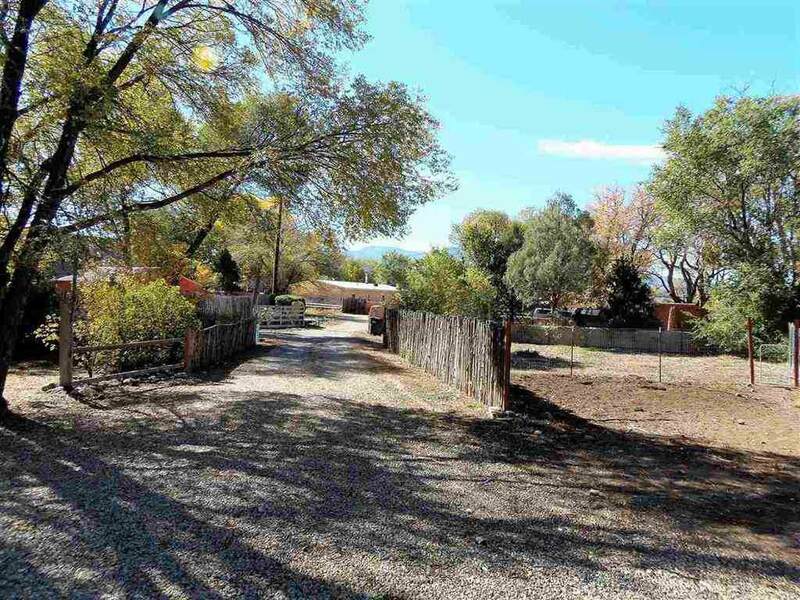 This is a rare opportunity to own and enjoy a piece of old Taos on a relatively large and verdant lot.